According to the complaint, Defendant Kenneth Elliott has admitted that there are over 200 participants in Sea Nine VEBA plans. The government claims that it has completed audits of 41 taxpayers and, in those audits, it has assessed nearly $13.875 million in tax deficiencies. In addition to stopping the defendants’ promotion of the plan, the government is asking the federal district court to order the defendants to produce a list of all of their customers, including names, addresses, and social security numbers. Sea Nine VEBA participants who have not yet been subject to an IRS audit should seek the assistance of an experienced tax attorney. Tax attorney Michael E. Lloyd will be hosting a conference call on Friday, February 14, at 3 PM EST to discuss recent Sea Nine developments. Sea Nine participants interested in participating in the call should RSVP to sgarvey@williamscoulson.com for call-in instructions. 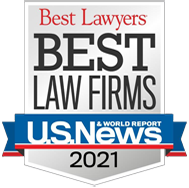 Attorney Michael E. Lloyd and other attorneys at the boutique tax law firm Williams Coulson have represented several participants in the Sea Nine VEBA and other similar VEBAs.